Teachers are in revolution. They claim an active role in new ways of learning and teaching. Usually, through the use of ICT in the classroom, wherever that classroom is, face-to-face or online. Recent events at King Abdulaziz University, in Jeddah (SA), University Cadi Ayyad, in Marrakech (MO) and the Congress for Quality Education in SouthAmerica, in Quito (EC) stress the fact that teachers are a striking force for change and progress. They claim, fight for and push for means, time and capacity decision in the innovation cycle in Education. They can be disruptive through the use of Open Educational Resources (OER), live analysis of learner data and, of course, ICT tools in the classroom and long list of activities and services. In Jeddah, 100 university professors explored the use of online assessment as a way to profile, adapt and support the learning itinerary of a learner of a group in a personalized setting, and not just as a summative scoring examination. Women and men focused on improving the educational setting for good. In Marrakech, 80 participants in the Open Education National Day discussed how to use OER as a way to improve the educational opportunities of a whole country. Along with universities and the Government, Moroccan stakeholders draw and push for a National policy in Open Education, implemented in practice. 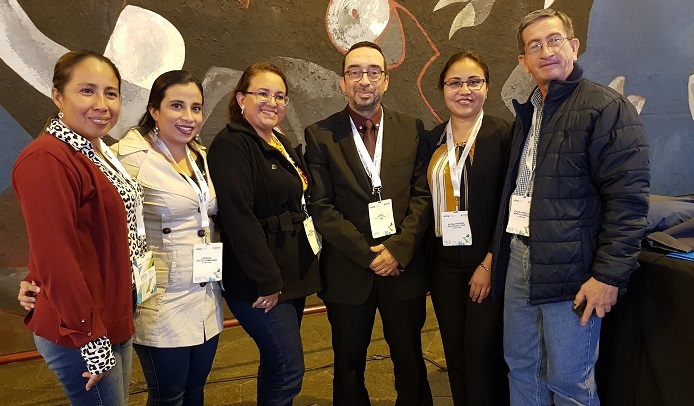 In Quito, 200 congress participants, mostly university teachers from across Ecuador, were concerned about quality in Education, and how to improve through research and support to the academic career. Furthermore, right today, hundreds of proud Ecuadorians will be graduated at Universidad Internacional de La Rioja (UNIR), and many of them come from, and go to, the Educational system, having achieved their latest professional competences via online, in a clear conciliation with their personal and daily lives. Literally, this revolution is happening everywhere. We count parallel events in Sidney, Ljubljana, Buenos Aires, Beijing, London, Salamanca, Visakhapatnam, Paris, Toronto, Tallin, Bogotá, and a long list of places. Thousands of school and university teachers want to do better, perform better, support better. They are committed and determined. This is an overall force that requires global awareness and action, National policies, regional contributions, peer-to-peer interaction and a key role from every character in the setting: from learners to administrative staff, principals, tutors, parents and sympathizers. And, of course, from the teachers. 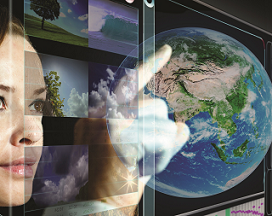 In this context, ICT can be the secret ingredient to facilitate that healthy revolution. From a basic use to an advanced tool creation, teachers can integrate communication, interaction, assessment, innovation, content and any other element of any educational cycle. This revolution is very much alive and kicking, and it will bring a real change in Education.